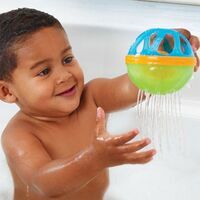 When your baby is still in an infant tub, it's not always practical to introduce too many bath toys, and that's where the Baby Bath Ball comes in. 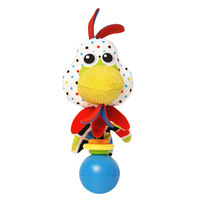 This brightly-coloured ball stimulates all of baby's senses, making it the perfect first bath toy. 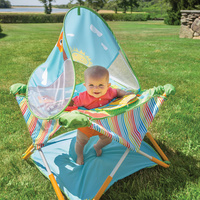 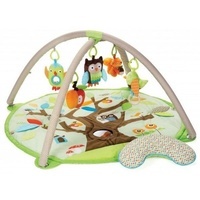 It has multiple textures for tactile exploration, a rattle feature for entertaining, and a soft holed top that's easy for baby to hold. 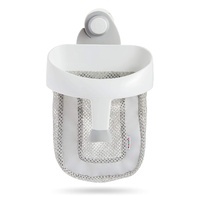 It also has straining holes, so you can use it to gently pour warm water over your bathing beauty too. 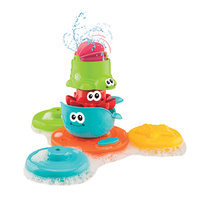 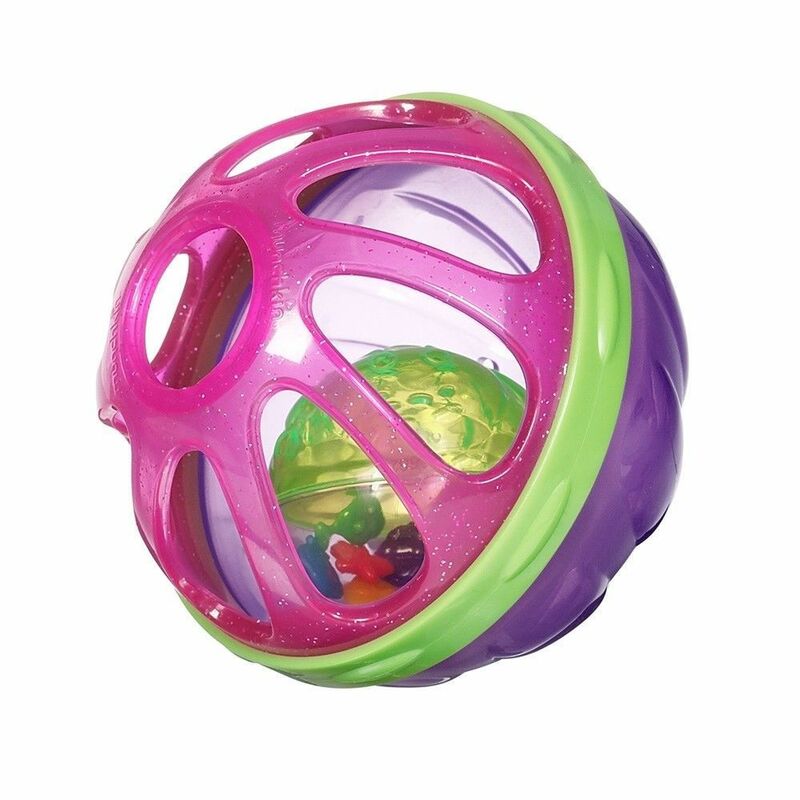 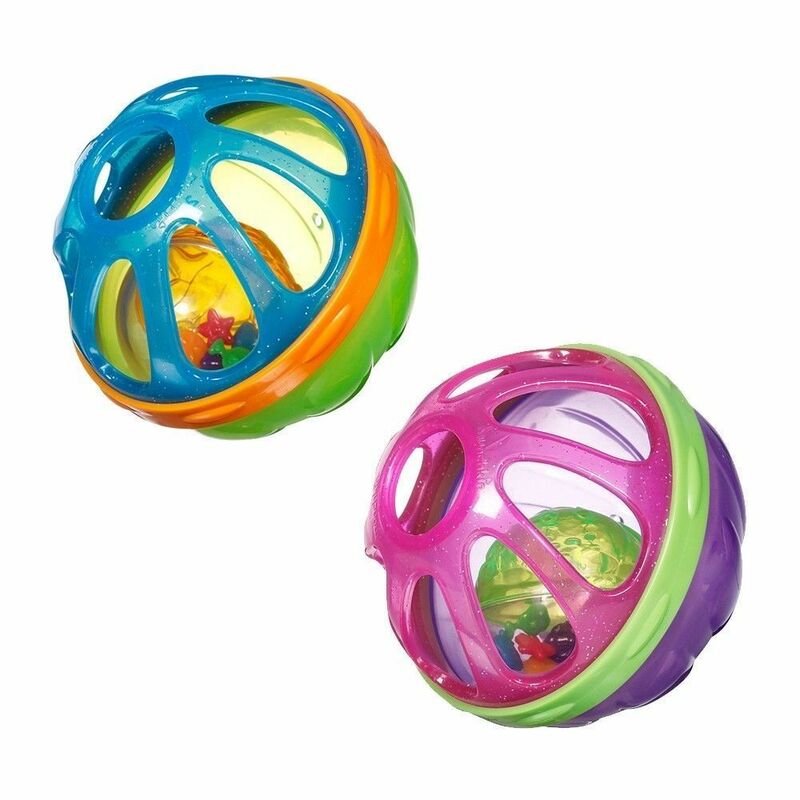 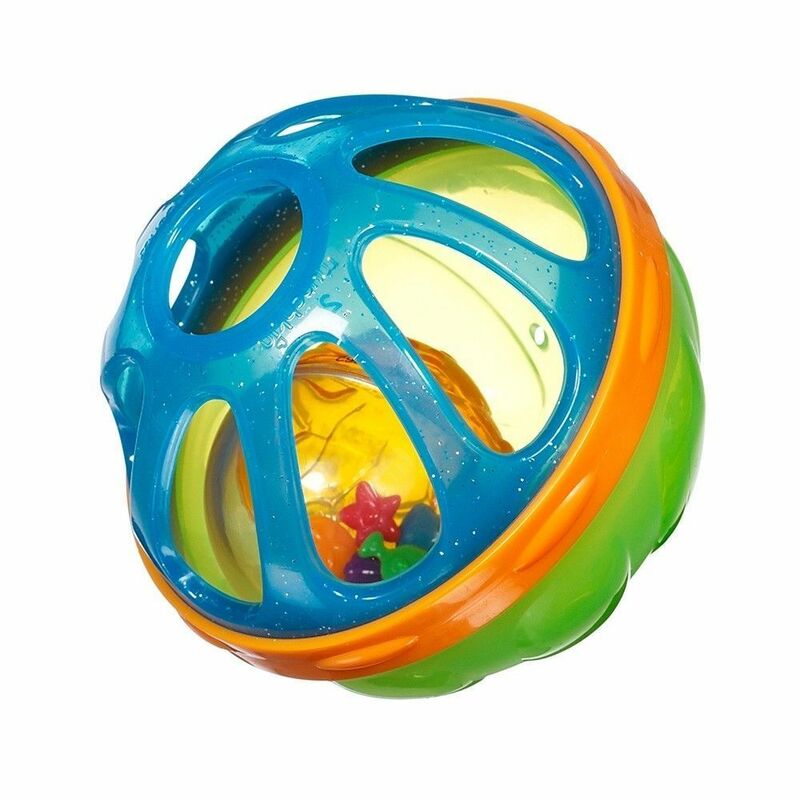 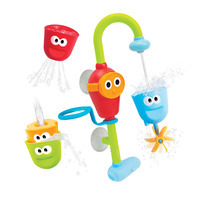 Your little one will have a ball shaking, straining, rattling and rolling this fun toy both in and out of the bath.